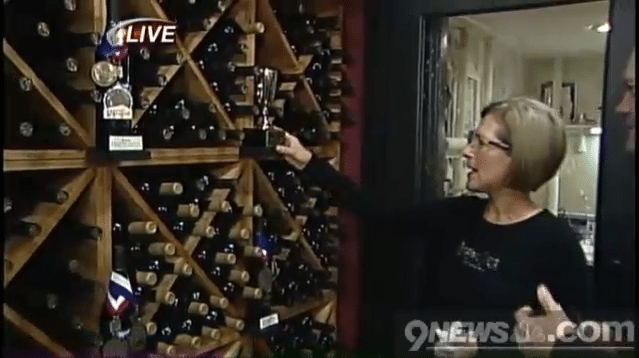 Gregg Moss put a new Where In The Town focus on the Colorado wine industry, with a visit to the Boulder Creek Winery. Gregg got a tour from owners Mike and Jackie Thompson who say they blend new world technology with old world artistry in handcrafting a line of classic-style wines. Visitors to the winery can check out their Merlot, Chardonnay, Cabernet Sauvignon, and Syrah wines, as well as a private reserve blend. The Boulder Creek Winery offers free wine tastings, tours and a gift shop. The Thompsons are big believers in educating visitors about the art of winemaking, as well as the history of it, including where wine corks come from. | To learn more, please visit Boulder Creek Winery. | To watch the 9News segment please visit Where in the Town.